Introducing the Eclipse IV – Performance CPU cooler by X2. 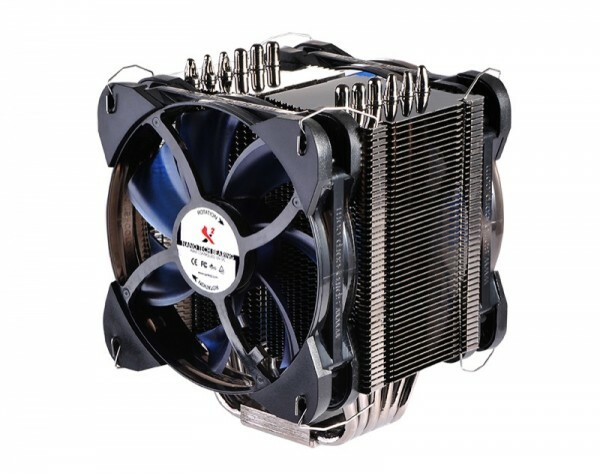 Following the award winning TherMax series CPU Coolers by our parent company Spire, the enthusiasts at X2 have further developed and improved the product’s performance. Introducing the successor; Eclipse IV universal compatible performance CPU cooler. Starting with the heat-sink, 45 aluminum stacked fins provide a larger surface area. The front and rear sides of the fins are patterned with shark-teeth for better outflow of air which helps to a more silent solution. Six (6) all copper heat-pipes of 6mm in diameter which are bend into the tower u-shape to achieve unrestricted air-flow and best cooling performance. All six (6) heat-pipes are soldered onto the heat spreader-base and cooling fins. Following the complete heat-sink is anodized and coated with pure nickel which fills any tiny imperfections and preserves the copper heat-pipes from oxidation. Asymmetrical heat-sink design which ensures sufficient clearance in the direction of memory slots and RAM height clearance. Topped with two proprietary Nano-tech bearing 120x25mm high airflow DC Fans which are mounted with anti-vibe rubber corners and metal wire clips. Secure mounting with the robust H-bracket, application to all current AMD and Intel sockets and micro-processors (LGA1366, LGA1156, LGA1155, LGA1150, LGA775, AM2, AM2+, AM3, AM3+, FM1, FM2) and supplied with grade-A Thermica SP431 thermal grease that provides best contact ratio and outstanding reliability. 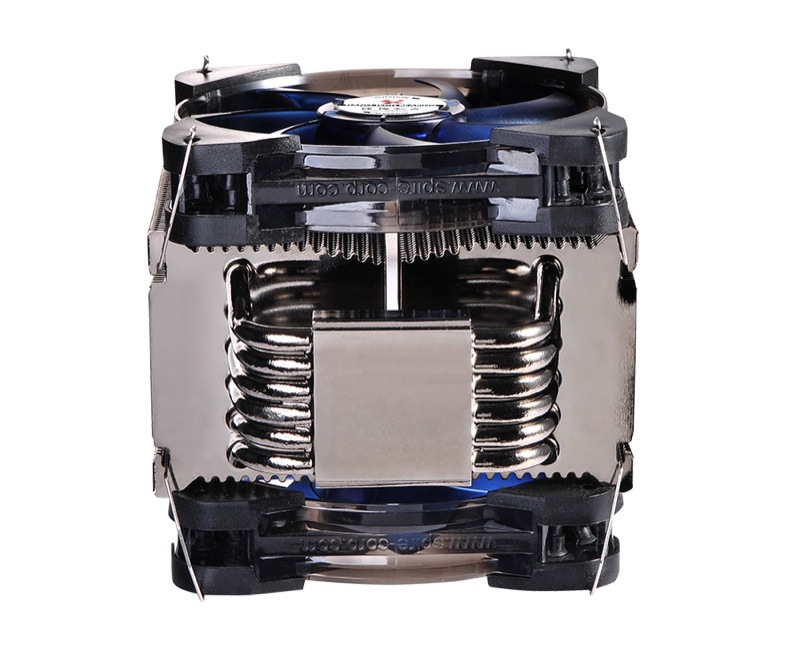 The Eclipse IV X2-9862N1-PWM CPU cooler is compatible with the latest ATX boards based on the Intel and AMD Micro-processors sockets LGA1366, LGA1156, LGA1155, LGA1150, LGA775, AM2, AM2+, AM3, AM3+, FM1, FM2. The Eclipse IV, item number# X2-9862N1-PWM is now available from X2 Shenzhen, European branch distribution will commence end September. Please Feel free to contact us for samples and specification details.